Remember the Etisalat Smart Pak? Yes, it is still working perfectly also on 9Mobile, which is now the 9Mobile Smark Pak. 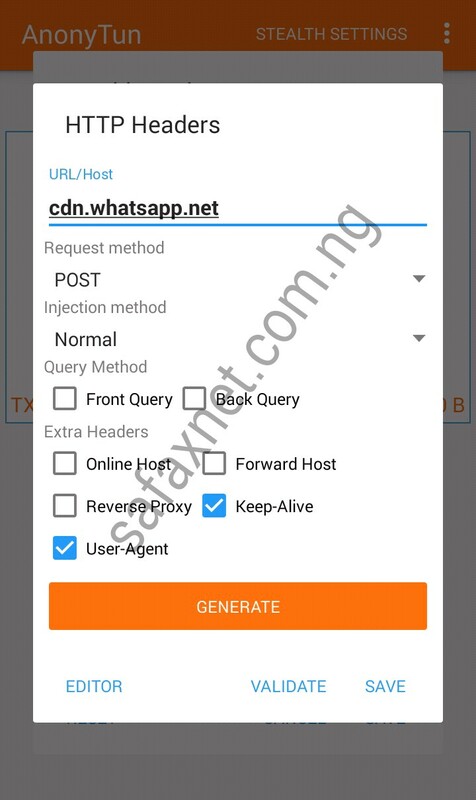 Smark Pak is usually used to browse social media sites only, sites like Facebook, Twitter, Whatsapp and co; but with this cheat settings i would be showing you below you can subscribe to the smart pak plan and browse all/any website(s) and download also for free using AnonyTun VPN. What you need to do first is to subscribe to the 9Mobile Smart Pak plan which costs N150 only, and lasts for 7 days. Though there is a data cap, which is between 500MB and 700MB. This means you get about 700MB to browse any website anf download for 1 week with just N150 on a social plan subscription. 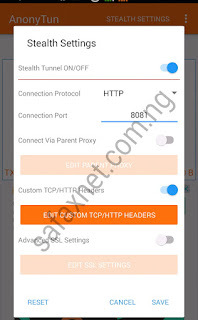 After successfully subscribing to the 9Mobile Smart Pak plan, now follow and configure your phone/AnonyTun with the settings below. All other things should be left as they were and now save the APN settings and activate it or choose as preferred settings for browsing. AnonyTun Beta English version now available too. 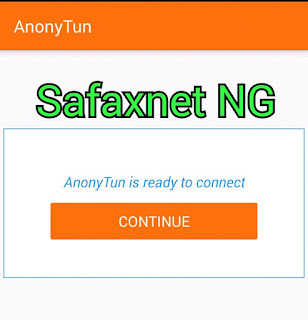 Finally, go back to the app homepage and click on CONNECT , wait a few seconds and AnonyTun App should connect. So its now working on StarkVPN right.